In an effort to combat speeding traffic outside a school, a resident of Auburn, California put up this sign. I'm not sure how effective it's been. 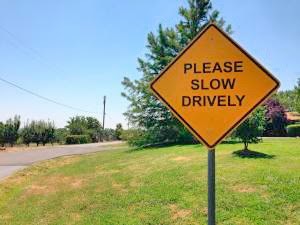 I mean, you might drive more slowly past the sign. But only because you're looking at the sign. And not the road.